The guitar chords are now included. The singer in the youtube video is Tommy Byrne. 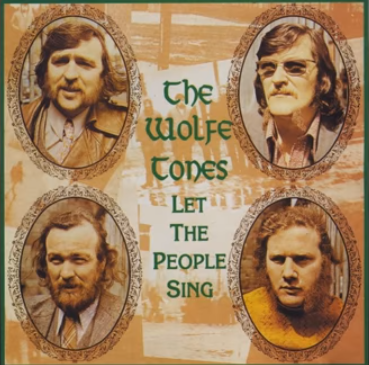 Taken from the album ''Let The People Sing'' 1972 and in my opinion their best album ever, I have been listening to this song for nearly 40 years and it's as fresh today in my head as it was all them years ago. It's an intriguing little song that makes the mind wander to other places. You don't really know what the song is all about until the last few lines when you realise it's all a dream,,,,,,,or is it ? The Wolfe Tones Play this song in the key of Eb. That key isn't suitable to most ballad singers so I took it down a notch. My [G]watch and tie and [D]signet ring. Here's the chords in the key of G.